Hey everyone! 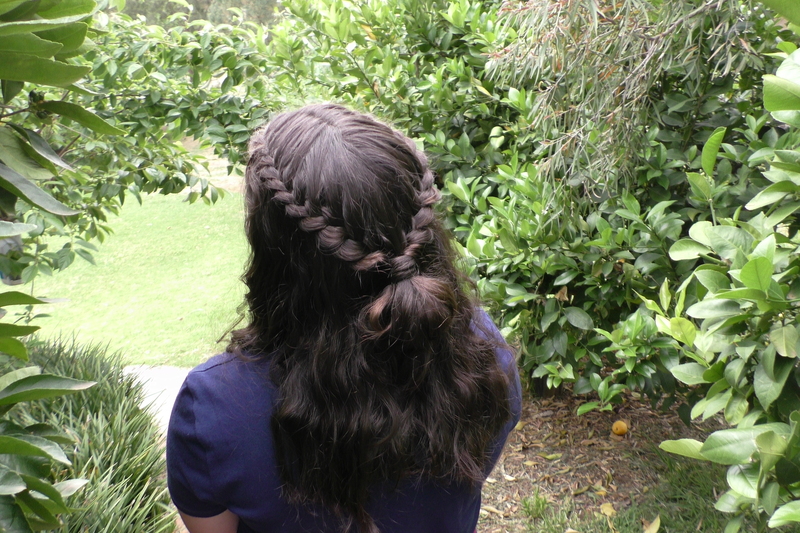 Today I have this pretty, lace braided half-up to show you. As you can see it works great on short hair, (my younger sister is modelling for me today) but it’ll work fine for any length! 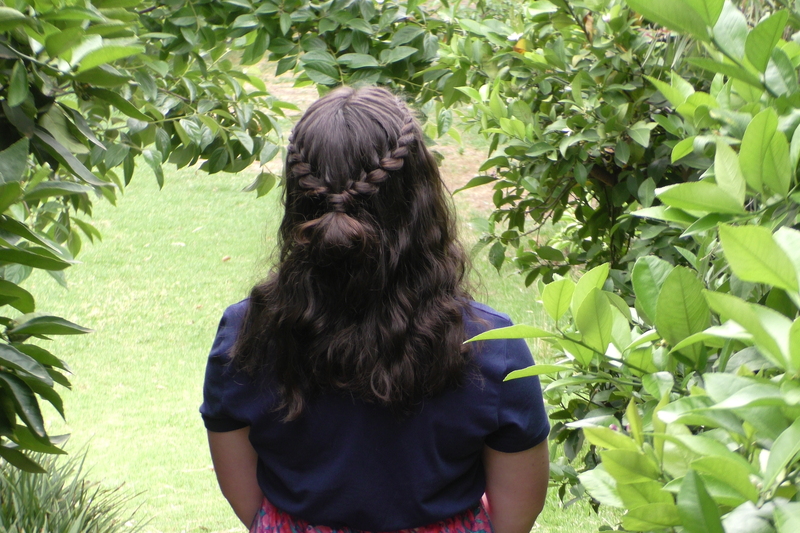 Don’t you love those type of hairstyles? 2.) 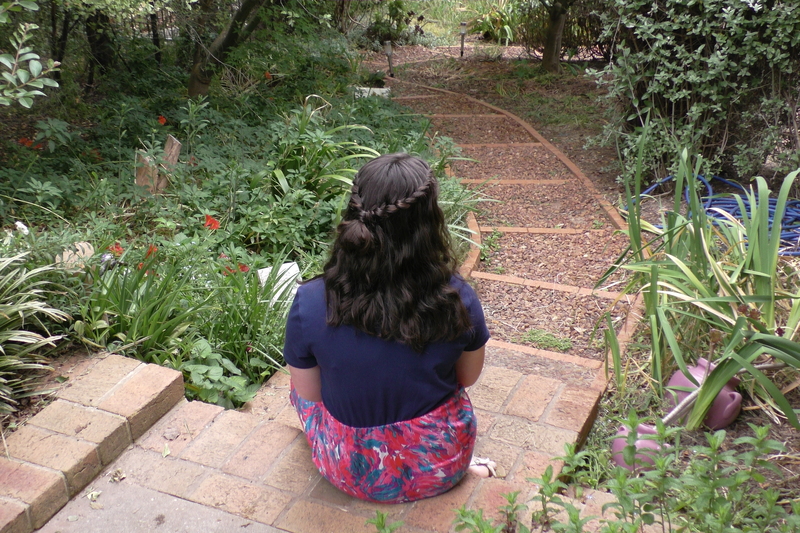 Next, take a section of hair from the front of your head: 3.) 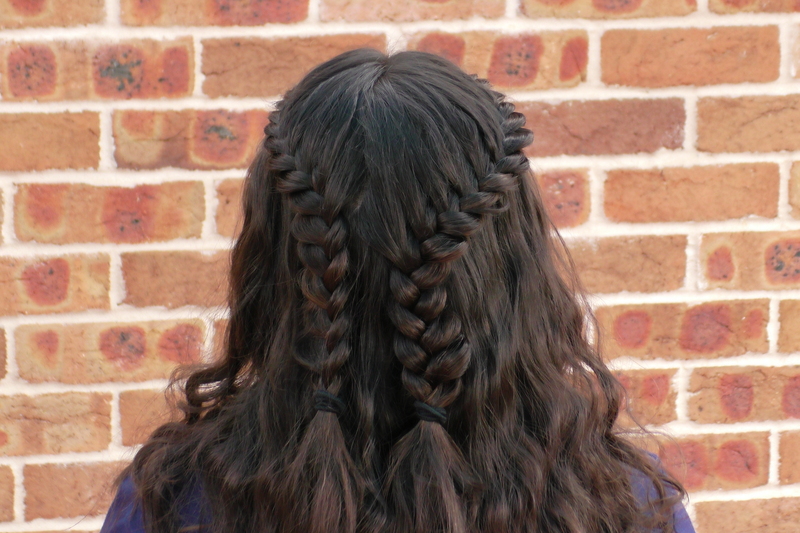 You’ll want to divide it into 3 even section and begin a lace braid. 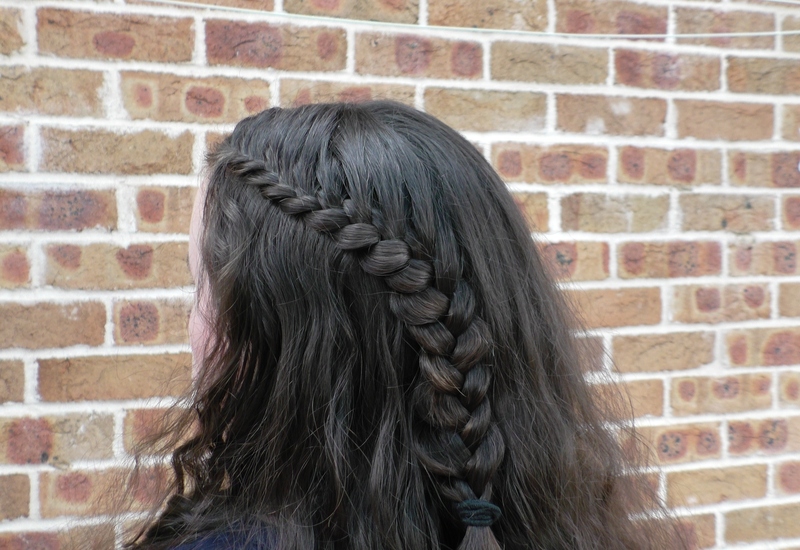 Basically its like a normal french braid, only in this case you won’t be adding in hair from the bottom side of the braid. 7.) 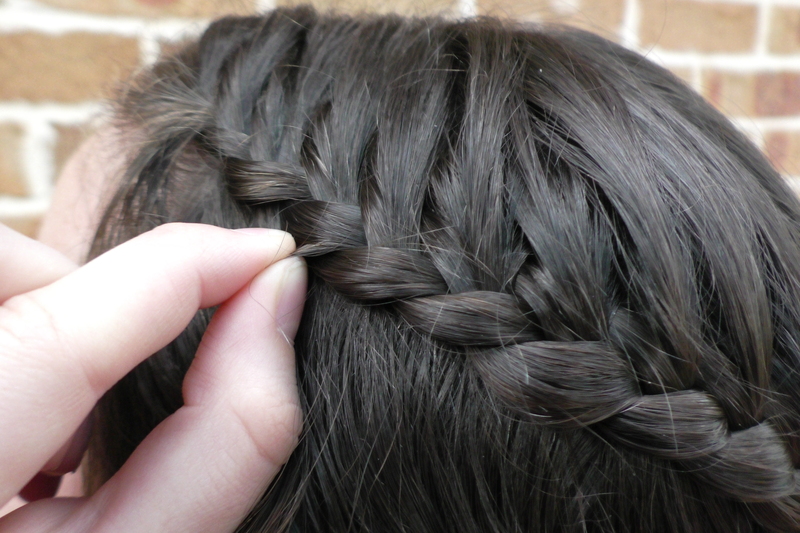 Grab your spare hairtie and secure on top of the last one, only on the last loop don’t pull the hair through all the way (just have a small bump) and leave it like that. 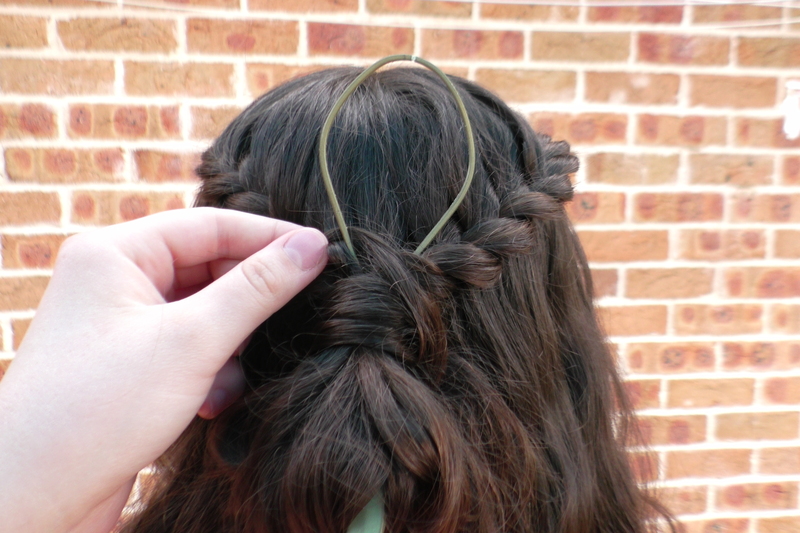 Then, pick up a section of hair from behind the tied-off section and wrap it around the hairtie to hide it. 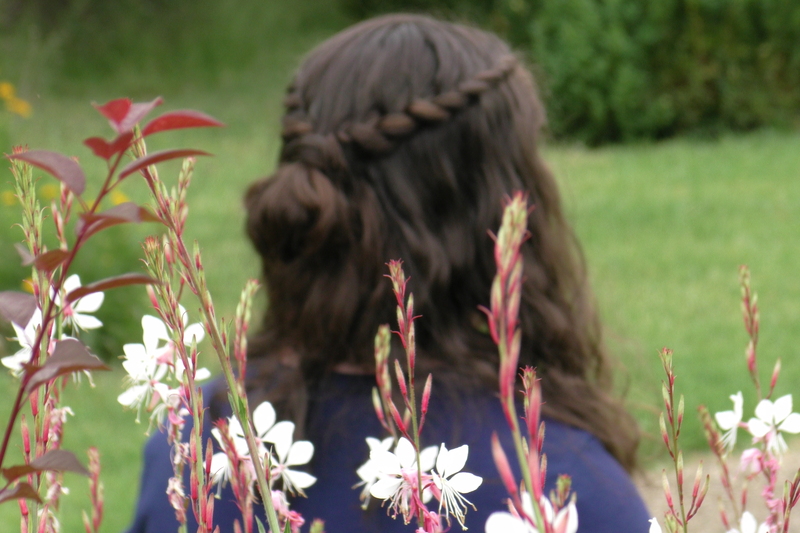 Use the topsy tail tool to pull the ends of the hair wrap through or bobby pin them in place. Have an amazing rest of the week, and don’t forget to subscribe to get notified of new posts every Wednesday! Feel free to leave any questions or comments down below, we love hearing from you! 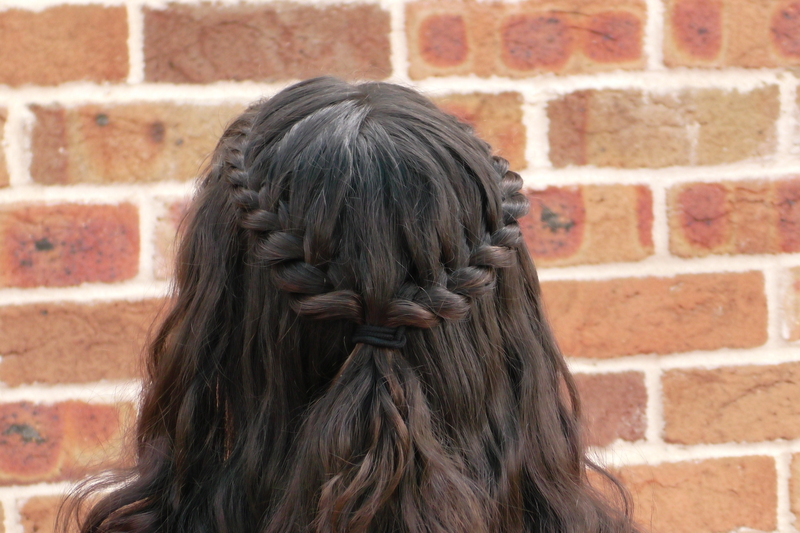 What would you wear this hairstyle for? I really like this half up! Thanks Therese! It is, isn’t it?